A unique blend of slow digesting proteins used to help promote the paleo athlete's overnight nutrition! 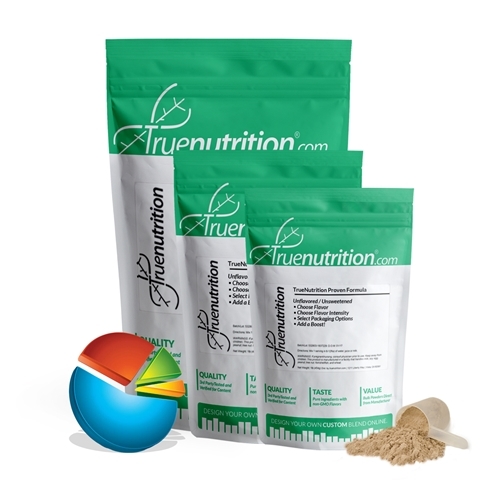 True Nutrition proudly presents our signature Paleo Overnight Formula, a unique blend of slow-digesting proteins used to support overnight nutrition! The Paleo Overnight Formula contains the perfect ratio of beef and egg proteins intended for time-sustained nutrition. Paleo Overnight Formula provides 29g of protein to help support muscle-building! Uses: Overnight Nutrition: Provides 29g of protein to help support muscle building! Mix-ability: Shake or stir thoroughly for best results. Some clumping may occur. Taste: Strong salty and savory taste that goes best with chocolate, vanilla, mocha, and caramel flavors! Grass-Fed Beef Protein Isolate, Egg White Protein, Lecithin (Sunflower).